CHARLOTTE AMALIE – A federal jury found two men — one from Puerto Rico and one from the Dominican Republic — guilty of charges related to drug and gun-related charges, according to the U.S. Department of Justice. After a four-day trial, a federal jury found 39-year-old Alexandro Gerandino-Aracena of the Dominican Republic and 35-year-old Ricardo Cardona of Puerto Rico, guilty of conspiracy to possess with intent to distribute cocaine and various firearms possession charges, U.S. Attorney Ronald Sharpe said. According to evidence presented at trial, on the morning of September 3, 2015, Gerandino-Aracena and Cardona traveled from Fajardo, Puerto Rico, to St. Thomas in a private vessel equipped with a hidden compartment to purchase 150 kilograms of cocaine. 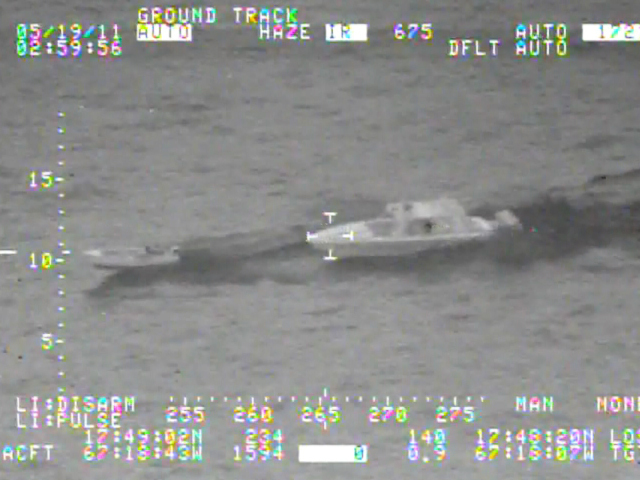 Gerandino-Aracena and Cardona docked their vessel at the Marine Center Dock at the University of the Virgin Islands, where they met other members of the drug trafficking organization to collect the cocaine in exchange for $250,000 and three assault rifles. Earlier that day in Puerto Rico, U.S. Drug Enforcement Administration (DEA) agents seized $1.4 million dollars in cash, which was partial payment for the cocaine. Gerandino-Aracena and Cardona each face a minimum of 10 years in prison and a maximum of life imprisonment, and a maximum fine of $10,000,000. On the fourth day of trial, co-defendant Marco Asala Belgar, 35, of the Dominican Republic, pleaded guilty to misprison of a felony and faces a maximum of three years’ imprisonment and a maximum fine of $250,000. Co-defendant Pedro Beltre Guzman, 36, of the Dominican Republic, also pleaded guilty during the trial to possession of firearms by an illegal alien and faces a maximum of 10 years’ imprisonment and a maximum fine of $250,000. On March 29, 2016, co-defendant Jose Luis Ponce-Pagan, 36, of Puerto Rico, pleaded guilty to conspiracy to possess with the intent to distribute 100 kilograms of cocaine and faces a mandatory minimum sentence of 10 years in prison and a maximum sentence of life in prison, and a $10,000,000 fine. All defendants remain in custody pending sentencing, which is scheduled for August 24, 2016. This case is the result of a joint investigation by the DEA, Federal Bureau of Investigation, Bureau of Alcohol, Tobacco, Firearms and Explosives and U.S. Customs and Border Protection. It was prosecuted by Assistant U.S. Attorneys Sigrid Tejo-Sprotte and Delia Smith.